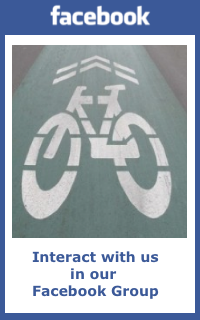 Welcome to Bicycle Advocates for Annapolis & Anne Arundel County (BikeAAA)! Anne Arundel County & Annapolis have earned the prestigious Bronze Bike-friendly Community designation. Read more about BikeAAA’s role as catalyst, our progress and challenges HERE. The BikeAAA Annual Report 2018 includes the state of biking in the county, recent progress and goals as we work towards Silver Bike-friendly Community. Register NOW at Earlybird Rates for the October 6, 2019 Lifeline100 with Rides for All Ages and Abilities! A Lifeline100 registration and some Lifeline100 cycling apparel are perfect holiday gifts for you favorite cyclist or anyone who likes to ride a bike! We are an all-volunteer 501c3 non-profit focused on creating a healthier, more livable Annapolis and Anne Arundel County by promoting safe bicycling for transportation, recreation and fitness. We represent more than 700 members, the voice for thousands of cyclists and advocate for better bicycling conditions and transportation choices; and educate children, adults, and motorists about safe bicycling. For an update of recent accomplishments and activities, please read our BikeAAA 2017 Annual Report. There is lots of progress being made on bike infrastructure, legislation, education, enforcement and safety programs. This includes record-level trail-building, Annapolis Bikeshare launch, new County Bill 78-18 for multimodal transportation and new 3-foot enforcement technology. Check our NEWS for some recent updates. May was National Bike Month and we had a record more than 2,000 children riding on Bike to School Day with the most registered schools of any county in Maryland! Check out our EVENTS page and CALENDAR for upcoming events! BikeAAA is the voice for biking in the county! See recent NEWS. Click for an update on the very successful session for 2017 Maryland bike safety legislation with 3 bills passed into law. Further progress was made in the 2018 Maryland Bike Legislation with three new bike laws passed following through on the Maryland Bike Safety Task Force recommendations which included BikeAAA reps Jack Keene and Jon Korin. The 2018 Lifeline100 was a rousing success with a record-breaking 861 registrants and $33,100 raised for local non-profits! REGISTER NOW and support local non-profits for the 15, 30, 65 or 100 mile ride on October 6, 2019! More than 2,000 children rode to 17 schools in the county on Bike to School Day! Thank you parents, police, faculty, volunteers, sponsors and children! The city and county have added new Bike Lane markings and signs. This one on B&A Blvd in Arnold. Others on Boulter’s Way and Chinquapin Round Rd. WB&A Trail Extension Now Open! The Patuxent River Bridge design is underway! The Anne Arundel County Lifeline100 Community Bicycle Event received this award at the Maryland Recreation & Parks Association annual conference. Lifeline100 is hosted by Anne Arundel Recreation & Parks, Anne Arundel Police and BikeAAA. Last year’s event drew 860 cyclists and raised $33,000 for county non-profits. Sign up to ride, sponsor or volunteer now at www.lifeline100.com . COUNTY BIKE COMMISSION LAUNCHED! On August 12, 2015, County Executive Steve Schuh announced the formation of the Anne Arundel County Bicycle Advisory Commission. This is a very significant step towards a safe interconnected bike route network and BikeAAA president, Jon Korin, will chair the commission. More than 50 cyclists, government and community officials attended the signing on the B&A Trail. For more details, video and photos, click here or Bike Commission. The 5th annual Lifeline 100 Anne Arundel County Century Ride features rides 100 and 65 mile road/paved trail routes and 30 and 15 mile paved trail rides and a Children’s Bike Rodeo on Oct. 7, 2018 at Kinder Farm Park in Millersville. In 2017, there were over 860 registrants, more than 25 sponsors, 100 volunteers and the event raised $33,000 for county non-profits! More details here . NEW! 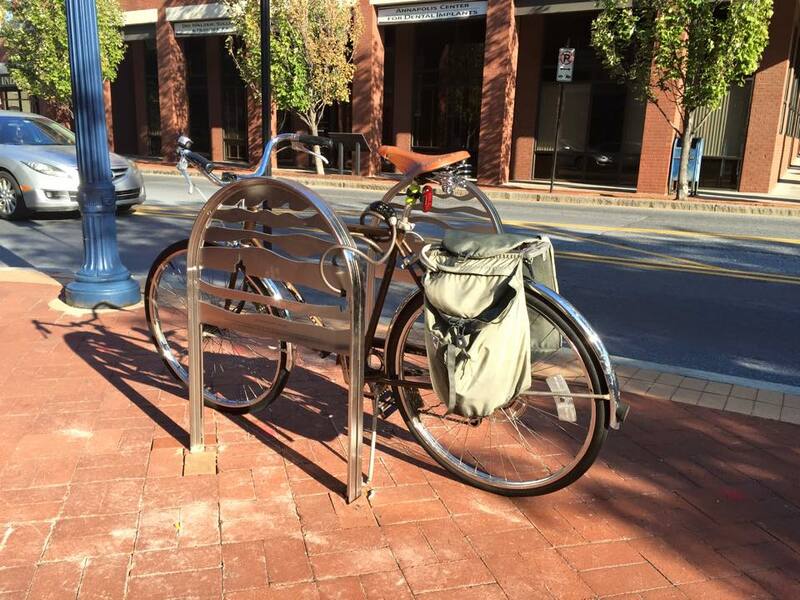 Help locate bike racks countywide! Bike Safety Programs: Over 1,000 children in bike safety rodeos and 750 free helmets distributed. Learn more about this and other safety programs here! If you would like to get involved or track our progress, please continue to check back, join our Facebook Group or click our Contact Us form to request more information and get on our email list.